We have a new Pine Bluff location to better serve you! We're now on Facebook, Twitter, Instagram, and LinkedIn! We are the premier source and most dependable provider of credit and related financial solutions to the rural and agricultural markets in the 24 Arkansas counties we serve. Complete our loan inquiry form to request more information regarding AgHeritage Farm Credit Services financing. Statewide, the Farm Credit System serves more than 10,000 customer-owners with approximately $4 billion in assets through 38 branch locations. Unlike other lending institutions, when you borrow from AgHeritage Farm Credit Services you become part owner. You share in the benefits of ownership. AgHeritage Farm Credit Services paid $3.9 million in profits from 2018 to customer-owners this spring through the Patronage Program. 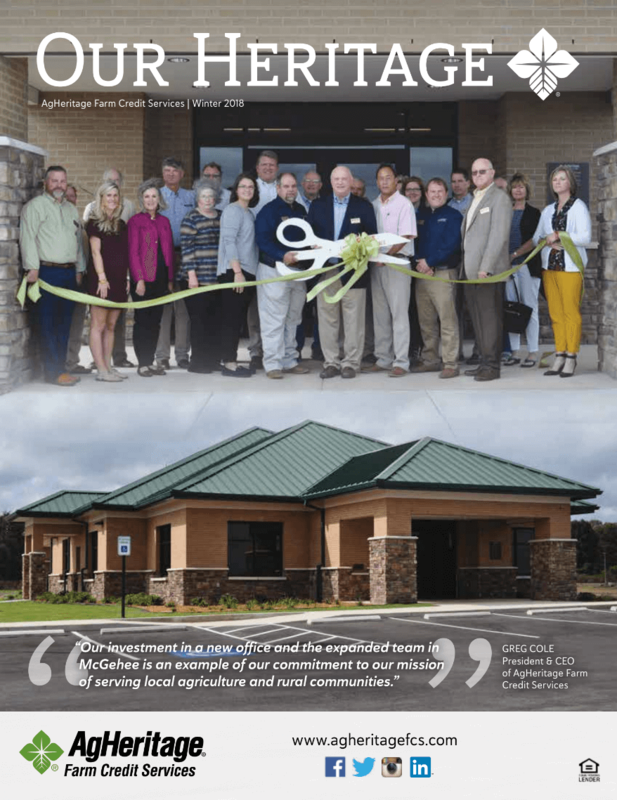 AgHeritage Farm Credit Services is pleased to announce its increased presence in the Pine Bluff market area with the opening of a new branch at 800 South Main Street in Pine Bluff on Monday, March 11. This opening brings the number of AgHeritage FCS branch locations to 10.